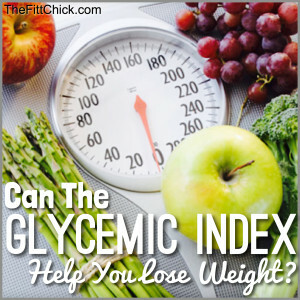 How to Use the Glycemic Index to Speed Up Your Weight Loss! 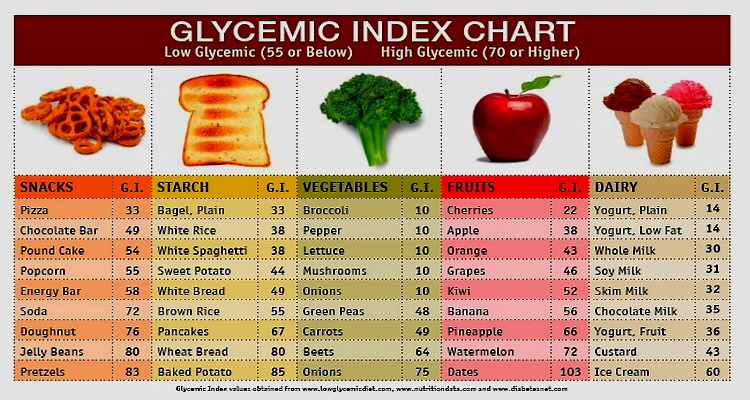 Home Health How to Use the Glycemic Index to Speed Up Your Weight Loss! The Glycemic Index is a valuable tool for managing your overall weight-control and healthy eating strategies. If counting calories was all you needed to do to lose weight, you could theoretically eat candy bars all day and lose weight as long as you kept under your daily calorie limit. However, there’s more to weight loss than just counting calories. Choosing healthier foods that provide energy and promote a strong, fit body is just as important as sticking to a calorie goal. By becoming aware of how particular foods act in your body, you can start making more informed decisions on what you put in your mouth. The Glycemic index isn’t as complicated as it sounds. Simply, it is a way for us to gauge the impact of a given food’s carbohydrate content on the body. It scientifically measures how ones blood sugar reacts to eating the food. The index rates foods according to their carbohydrate content, not fat or calories. It goes far beyond calories; it encourages you to look at the way foods are digested and metabolized in your body and what impact that has on your body weight and how full you feel after eating. One of the most noticeable benefits people see, in addition to weight control and level blood sugar, is increased energy and alertness. Using the glycemic index is easy: choose foods in the low GI category instead of those in the high GI category, and go easy on those in between. Low glycemic index (GI of 55 or less): Most fruits and vegetables, beans, minimally processed grains, pasta, low-fat dairy foods, and and nuts. Moderate glycemic index (GI 56-69): White and sweet potatoes, corn, white rice, couscous, and breakfast cereals such as Cream of Wheat. High glycemic index (GI of 70 or higher): White bread, rice cakes, most crackers, bagels, cakes, doughnuts, croissants, most packaged cereals. The more quickly a carbohydrate is digested by your body, the higher its score on the Glycemic Index. It gets a little complicated, but here’s the basic idea; The theory behind the Glycemic Index is that foods with a low GI value slowly release sugar into the blood, providing you with a steady supply of energy, leaving you feeling satisfied longer so that you are less likely to snack. In contract, foods with a high GI value cause a rapid – but short lived – rise in blood sugar. This leaves you lacking in energy and feeling hungry within a short time, with the result that you end up reaching for a snack. If this pattern is frequently repeated, you’re likely to gain weight as a result of constantly overeating. Here are 5 tips to let the Glycemic Index work for you! Control portions. Big meals — no matter what they contain — always stimulate a higher blood-glucose response than smaller ones. Here’s the bottom line. You don’t need to overhaul your entire diet, but the Glycemic Index can help steer you in the right direction. Just eat the majority of your calories from whole foods: meat, fish, fruit, veggies, dairy, and whole grains. This automatically eliminates the junk and provides a filling diet rich in vitamins and minerals and other healthful nutrients. The Glycemic Index is just one extra tool you can keep in your tool box to help choose healthy carbohydrates that can help control your weight and see the results you are working towards. A Healthy Breakfast in Under One Minute! Eat Healthy On Any Road Trip!